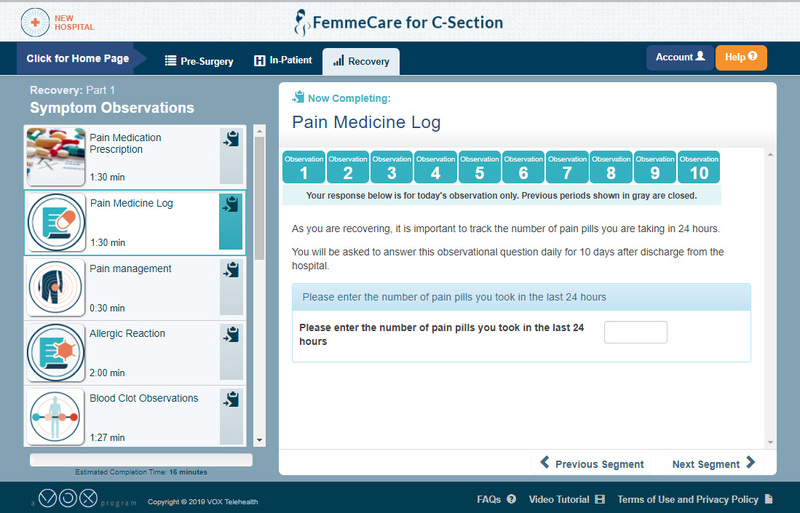 According to the CDC, C-Sections account for 32% of all births today. Bringing together the stresses of surgery and being a new Mom, patient’s need to be in an optimal state physically and mentally in order to best care for themselves and their newborn. 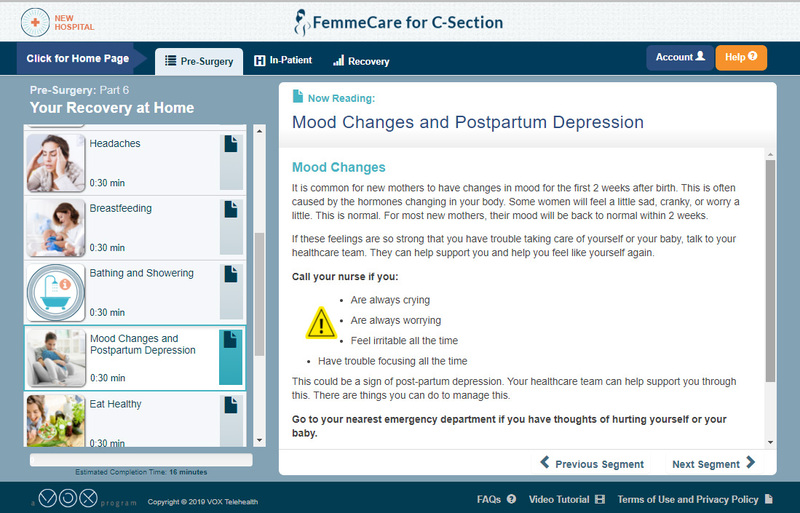 Our FemmeCare for C-Section Program holds the hand of the patient throughout their pre-surgical preparation and recovery providing on-going monitoring for surgical-related symptoms as well as signs of postpartum depression. 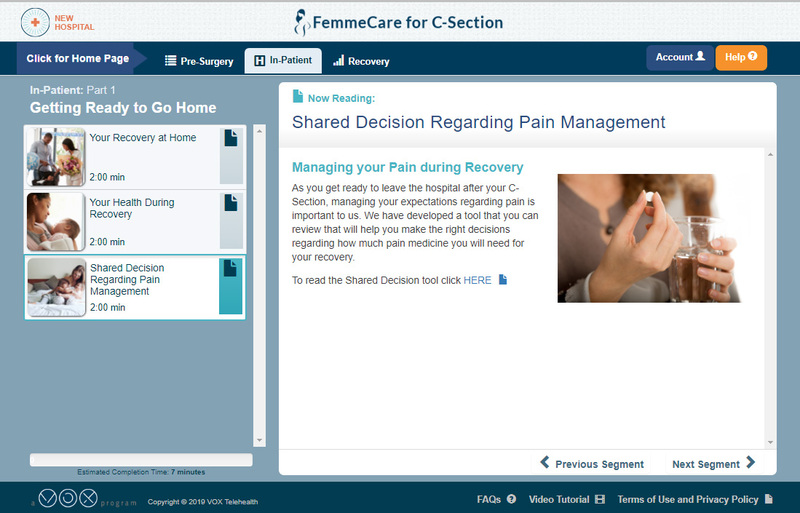 The C-Section program teaches you how to be an active partner in your own care by providing the right information at the right time and by keeping you connected throughout your surgery and recovery pathway.